All of a Sudden . . . Stunning sunrise. Unreserved FAV !! Wow! Stunning sunrise -huge favour! Sorry -predictive text -that was meant to be Fav! Gorgeous colors and composition! FAV! Holy sunrise! Spectacular, an easy Fav. Wonderful silhouette and sky colours. A magical capture and fabulous tones, fav! Amazing on black! What a nice surprise for you - a gift for you! That is just a sensational sunset. A fav. In regards to our discussion of the day, look how much the clouds lend to the image. It is quite spectacular. Gorgeous colors!! Well done, Milanie! Wpw! What a beautiful sky and neat silhouette. 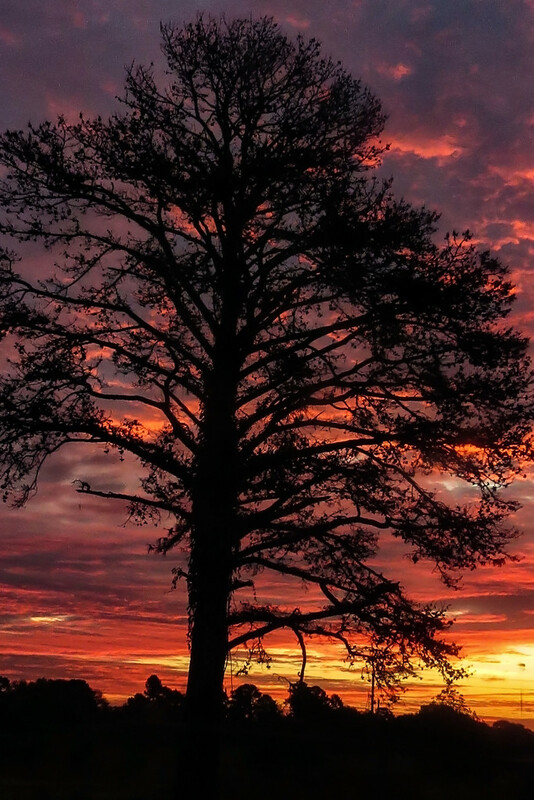 Lovely tree silhouette and cloud colours Milanie! This is out of this world, it is so beautiful, fav! Congratulations on this making the TT! So lovely! Congrats on getting #3 on the Top Twenty. Brilliant!!!!!!!!! Congratulations Milanie on your Top Twenty finish!